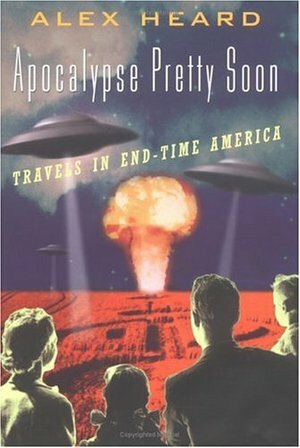 Over a ten-year period, intrepid cultural traveller Alex Heard has been sojourning among America's most intensely religious and political believers - sometimes dark, sometimes joyful, usually bizarre and very occasionally deadly groups who bring their own all-American spin to the biblical idea of the apocalypse. This is a funny and frightening look at millennial, utopian and futuristic subcultures. Among the cast of characters encountered are: a UFO cult whose members look forward to the mass landing of Angelic Space Brothers in 2001; trembling New Age penitents who fear our polluted planet is bent on taking highly-conscious revenge; a born-again Christian determined, on God's orders, to carry a 12-foot cross across every nation on earth; life-extensionists convinced that if they can only live long enough, science will make sure that they live forever; and a collection of other paranoid, credulous, and/or ecstatic countrymen.